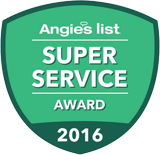 Service Plus is a customer-service focused heating, cooling and plumbing company with a client base dating back to 2002. Located in Indianapolis, we employ highly trained, certified individuals whose goal is to provide the best customer service. We hire many US military veterans as we believe that the qualities instilled in them during their training and service are a benefit to our customers. We strive to employ individuals who possess skills such as leadership, job focus, and a strong work ethic allowing them to complete their work successfully and with quality. We take special pride in our team, a fact we hope you’ll notice immediately by the attitude and integrity they bring into your home. We understand many people have had bad experiences working with contractors in the past, so our goal is to make sure each contact you have with your heating, cooling and plumbing specialists is a pleasant and helpful one. How do we accomplish this goal? By making your satisfaction our guarantee. If you are not 100% pleased with the quality and craftsmanship of your installation, We will make it right everytime. Service Plus guarantees that your Home Comfort System will work properly. If for any reason the system does not perform to specifications, we will fix it. No excuses.